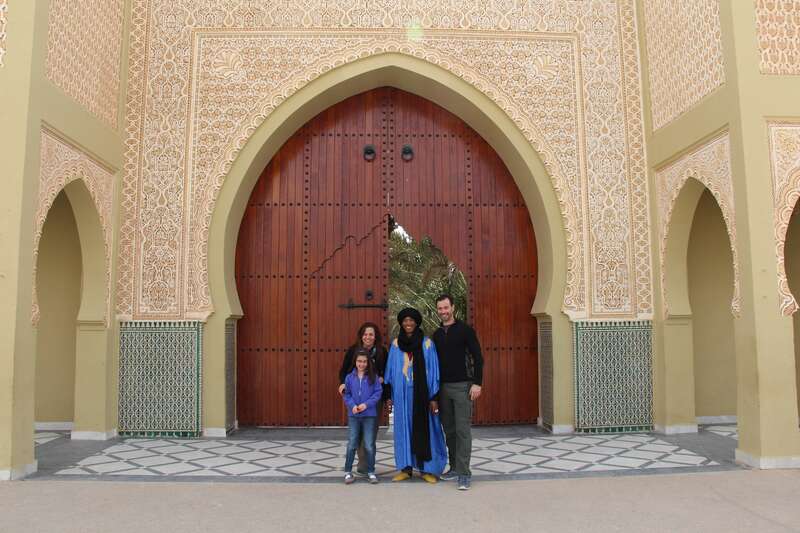 Our Morocco tour was terrific! It absolutely exceeded our expectations. We really enjoyed having the various guides in each of the cities. 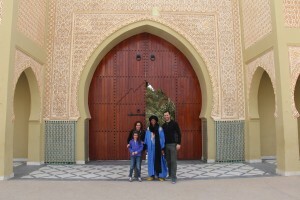 We loved all of our hotels, especially the Riad in Fes and the deluxe tents in the Sahara. 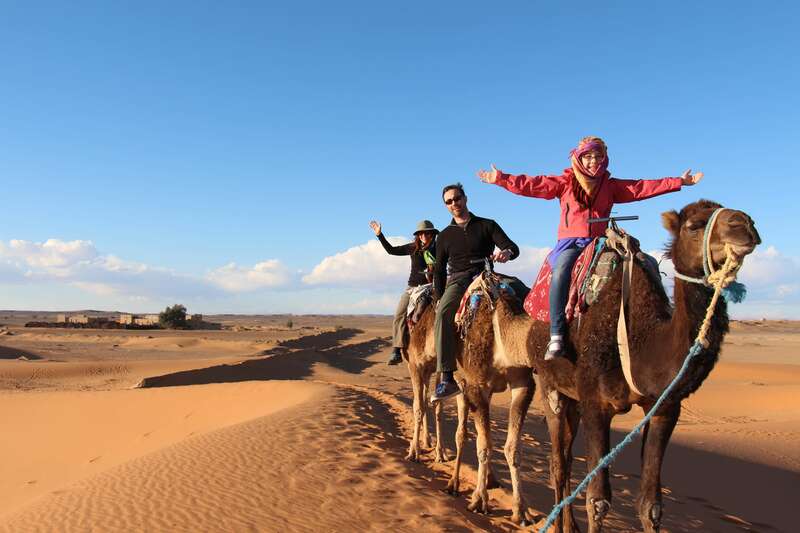 There were many highlights, with the family favorite being the sunset camel ride and spending the night in the “deluxe tents.” From the adult point of view, we loved the variety of history, beautiful scenery, food, shopping, and excellent conversations with our driver. Our friends are already asking us for information from seeing our pictures. Khalid, our driver: One word, “excellent!” Khalid was a big hit with both the adults and children. His language skills were perfect, his local knowledge was excellent, and he was an all around great guy. He caught on quickly to our desire to experience more of the local perspective. We loved every restaurant that he took us for lunch. On a couple of occasions we had some things go slightly wrong with a credit card billing at a hotel, which we realized two days later. We asked for his help and he instantly called them and solved the issue. Your company was very easy to work with and efficient. 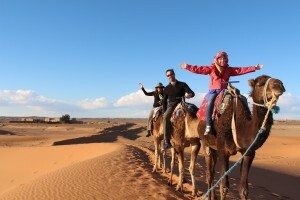 Great choices on itinerary, hotel, restaurants, etc. We appreciated the flexibility to create an itinerary that worked better with time we could be there and maximize the variety of experiences. Thank you again for the wonderful trip!